Fashion's Night Out began in 2009, with retailers offering specials and deals to shoppers after hours. Today, the festivities continue, including socializing in big stores and boutiques, and a night of fun with other fashionistas. Check out these events for Fashion's Night Out and more in a city near you! 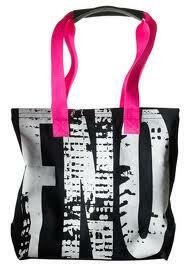 September 8, 2011 6:00pm – 10:00pm - DJ spinning in store - Spend $50 and get a free tote bag! Join 900 North Michigan Shops for Fame, Fashion & Flavor: 900 Night Out hosted by Bravo TV’s fashion guru Brad Goreski. Celebrate style at a Beauty Bazaar with complimentary services. Then get styled at our photo booth and have a red carpet photo opp with friends. Chow on delicious bites from Chicago’s best restaurants and don’t miss our Flash Fashion Show. Visit your favorite stores for festive in-store promotions. Plus, take advantage of our Spend More, Get More program and gain access to the VIP Lounge to mingle with Brad Goreski! We will host a night of cocktails, fun, and mini makeovers. DVF wants you to trust your senses and celebrate Fashion’s Night Out. See, touch, smell, taste and hear the excitement of this after-hours shopping experience. Join us on Melrose Avenue for cocktails and hors d’oeuvres. Capture the moment in our custom flipbook photo booth and get a sneak sample of our new fragrance, DIANE. Be the first to get your hands on the newest CHANEL Nail Colour Collection, les jeans de Chanel – created exclusively for Fashion's Night Out by Peter Philips, Creative Director of CHANEL Makeup. A favorite of past and present and the quintessence of casual chic, denim fabric is the inspiration for this trio of blue lacquers. A graduation of three shades, from medium to very pale blue, as essential and fun as a well-loved and well worn pair of jeans. Celebrate Fashion's Night Out with Victoria's Secret! With every $60 purchase, receive a limited edition Victoria’s Secret tee, while supplies last. For more on Fashion's Night Out across the country, click here! I like the two brands of addidas and chanel. Both of this brands are some of my favorites since they are classy and durable.